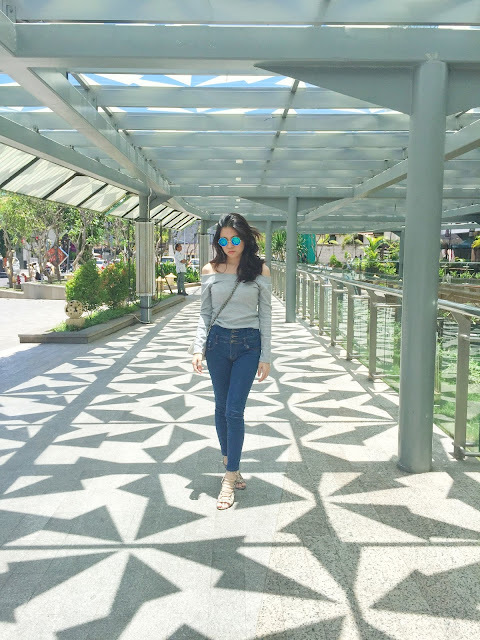 So, this time's outfit is really casual, I wore this off shoulder top in grey, and I paired it with high waist jeans, cute sunglasses and my favorite sling bag. Casual and comfortable, any thoughts? I'm in love with your blog and your style!